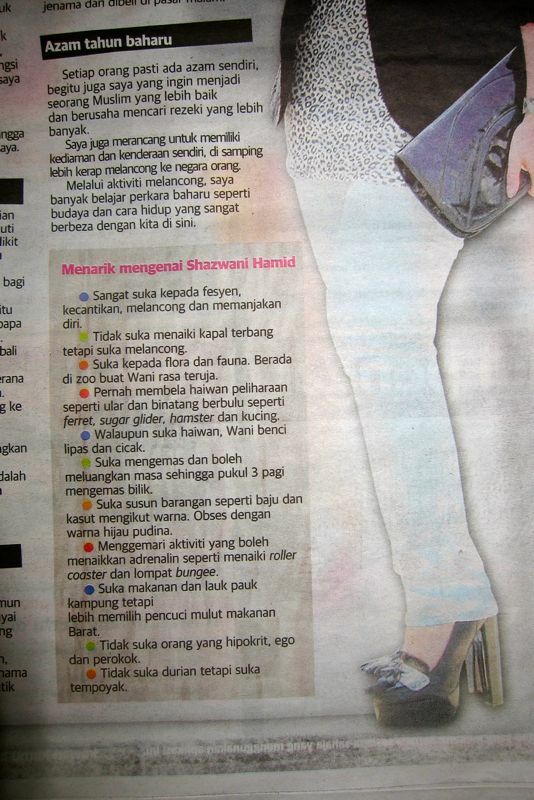 Last Saturday (12.01.2013), I appeared on our national newspaper, Utusan Malaysia, on the front cover of their .COM section, for the "Blogger Pilihan" column. They called me about a week before the publish date, to interview me. At first I thought like..umm...what do they want to interview about la? I'm not thatttt interesting, and I'm not a big blogger like other celebrity bloggers pun kann.. So what is it that they wanna know la, I thought to myself. 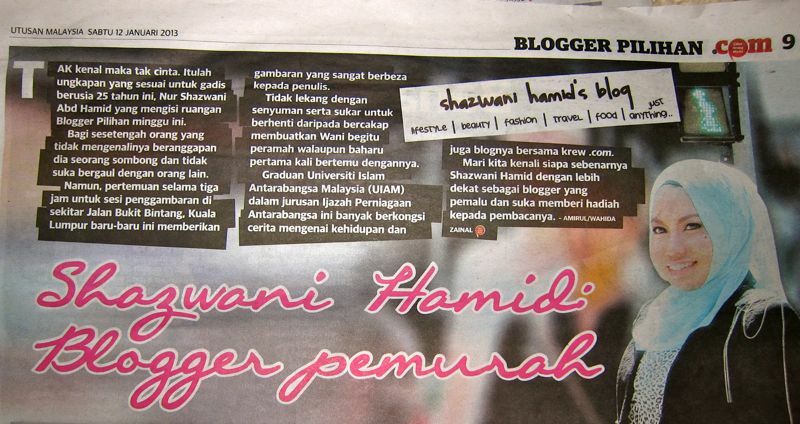 But well, they said they find my blog interesting, and they wanna know more about me...like, who is this Shazwani Hamid la, etc. haha..